Marvin rocks - I trust him! I really trust Marvin - he does excellent work and always ready to answer any questions you have. You can't go wrong when you know it is Marvin going to show up. Thanks to Marvin for repairing my refrigerator when others tried and failed. Tyler was right on time friendly and went to work quickly. Very informative and Competent. I would recommend him to anyone! Tim was very helpful, professional, and on time for my service call. He took his time to fully investigate the issue we were having. Marvin was extremely professional, helpful and knowledgeable. 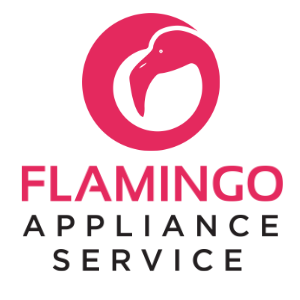 I would recommend Flamingo very strongly for appliance repair needs. Tyler did a great job! 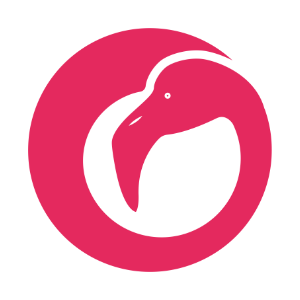 Tyler w/Flamingo Appliance provided exceptional service! Tyler Pinson did an excellent job on his service call with our Kitchen Aid appliances. We had several questions which he more than adequately answered, and he went above and beyond by offering helpful information w/each appliance. Great job!!! Tyler seems to be a great person inside and out. He really takes pride in his work. Awesome service, the tech worked hard to fix our refrigerator! I’d definitely deal with them again. Very courteous, well knowledge, and prompt. Very professional and friendly. Conducted his repair and cleaned up my door seams to ensure a good seal. I would recommend him to anyone I know. Marvin is very friendly and a very knowledgeable repair man. After a few visits we felt like he was family! Did a good job replacing the fan in my oven. Marvin is the best service technician I have had the pleasure of meeting. Marvin is polite, courteous, efficient, and knowledgeable. Not only did Marvin explain exactly what he was doing, he spent a few minutes with me explaining all of my appliances and gave me tips on how to get the best use of them. Further, Marvin asked for a shop vac and showed me the best method of how to clean refrigerator coils for optimum performance. Was pleasantly surprised that my appliance was repaired as quickly as it was. In my experience, whenever an appliance technician comes out, it normally takes about 3 visits to complete the repair. Not this time. They came out and in under 45 min had me up and running again! Outstanding. DRYER MAYTAG MEDB765FW0 "Installed new duct, lint should no longer catch. Unit is working properly." REFRIGERATOR WHIRLPOOL WRF560SEHZ replaced reservoir unit now dispensing water as designed. WASHER WHIRLPOOL WTW5000DW installed new control unit now operating as designed. OVEN KITCHENAID KFGD500EBS00 installed new ignitor and valve unit now operating as designed. VENT HOOD WHIRLPOOL UXT4230ADS replaced fan motor unit now operating as designed. job complete. RANGE WHIRLPOOL KGRS505XSS "installed cst ignitor, unit is functioning great and heating great. no leaks everything is working as designed." RANGE WHIRLPOOL WFE515S0ES1 replaced faulty light-ind. light turned off and is working as designed. REFRIGERATOR WHIRLPOOL WRF555SDFZ05 "found broken im fill tube tray that is connected to the icemaker, replaced the IM and wiring harness. unit filled and is working as designed. ; used 1 W10882923 ("
OTR MICROWAVE WHIRLPOOL WMH31017FS0 uninstalled unit to check if anything is blocking vent. unit was installed correctly and working as designed. unit was installed 37in from stovetop to to bottom of cabinet WP typically recommends 30in in install instructions manual. OVEN KITCHENAID KDRS467VSS04 replaced control and ui unit now operating as designed. REFRIGERATOR WHIRLPOOL WRF555SDFZ05 "Unit water line frozen over, tested fan motors, ice box thermistor, icemaker and water valve all components checked ok. Cleared blocked line unit tested and works ok."
RANGE WHIRLPOOL KGRS505XSS "replaced manifold, unit is working as designed. advised cst to try and keep the cooktop cleaned especially around the knobs." DISHWASHER WHIRLPOOL WDT730PAHZ0 "unit had two issues, not heating because of a disarmed heater and not draining because of a disconnected drain pump. rearmed heater and reconnected pump unit now operating." RANGE WHIRLPOOL WFE515S0ES1 "cooktop light is not turning off, staying on even when elements are off. will need to order new light indicator. ; ordrng 1 W11122551 (cntrl-elec) and 1 WP8523265 (light-ind)"